All Whites coach Anthony Hudson has named his most experienced squad for the upcoming FIFA World Cup Qualifiers against the Solomon Islands in September. Winston Reid, who was ruled out of the FIFA Confederations Cup because of knee surgery, returns to captain the side and take part in his first FIFA World Cup qualifying match on 1 September in Auckland. The West Ham United centre-back will team up with the pairing of the striker Chris Wood and midfielder Ryan Thomas for the first time as New Zealand looks to book their place in the Intercontinental Playoff in November. 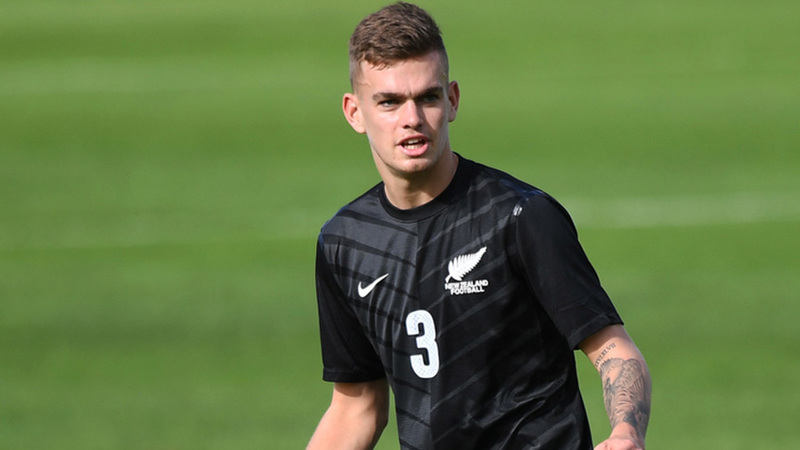 Alongside all of the experience, there are two new faces in the All Whites squad with exciting striker Myer Bevan (Vancouver Whitecaps) and promising goalkeeper Ollie Sail (Wellington Phoenix) hoping to make their debuts for the national team. Bevan, Sail, Tom Doyle and Michael Boxall are all former Auckland City FC players with the latter two featuring in the New Zealand Football Championship for the Navy Blues previously. Sail was part of the Navy Blues FIFA Club World Cup squad in Morocco four years ago while Bevan featured for the Junior Navy Blues in the National Youth League. Hudson has been building depth in his squad in the past three years and the centre forward position is the one area that needs the most attention. They have Wood – one of the best players in England and the Golden Boot winner in the Championship last season – and Shane Smeltz, and one or two others of different profile, but they need to continue building depth. Hudson has been impressed by the 20-year-old Bevan, a product of the Nike Academy who they have been tracking for some time. “Myer did really well in the U-20 World Cup and now he is playing professional football and doing well for his club. In our context he deserves a chance. There is a lot that I like about him. Not just as a player, but as a character he has got a great attitude. He is hungry and fearless and I am looking forward to seeing him play,” he said. Hudson has had some time to review the team’s effort at the FIFA Confederations Cup in Russia where they lost 2-0 to Russia, 2-1 to Mexico and 4-0 to Portugal. There were a lot of positives and some good periods of attacking play against world class teams, but they have plenty to work on. Cup in Russia disappointed,” he said. Hudson is looking forward to taking on the Solomon Islands again. At last year’s OFC Nations Cup they dominated the pool match and a Luke Adams goal in the final minutes proved to be the difference for a 1-0 win. He said the Solomon Islands have some dangerous players. The All Whites are focused on the OFC Final Stage of Qualifying but all of the team knows how close they are to qualifying for the FIFA World Cup in Russia next year. “Everyone knows how much hard work has gone into this in the last three years from the players to the coaches and the support staff. There has been a lot of hard graft and miles around the world. These next two games are incredibly important.